Fans of the NBA have been left in stitches after a hilarious error resulted in a proposed three-team trade to falter on Saturday afternoon. According to ESPN’s Adrian Wojnarowski, initial reports suggested that the Washington Wizards were in “advanced talks” to acquire veteran forward Trevor Ariza from the Phoenix Suns as a part of a “multi-team” trade. After it was revealed by Wojnarowski that the third team involved in the deal was the Memphis Grizzlies, the Suns were expecting to land second-year shooting guard Dillon Brooks as a part of the deal. However, incredibly the deal fell through after confusion arose between Memphis and Phoenix over the deal, with the Grizzlies insisting that 29-year-old journeyman MarShon Brooks was the player that was included in the deal. According to Wojnarowski, Memphis and Phoenix did not communicate directly on the trade, instead using Washington as “a conduit” on coordinating the three-team trade. Speaking on NBA TV, former Cleveland Cavaliers General Manager David Griffin was left bemused at the mix-up between the two Brooks's, calling it an "egregious error". Following the failed trade, Memphis General Manager Chris Wallace told ESPN that Dillon Brooks was never discussed as a part of the deal. 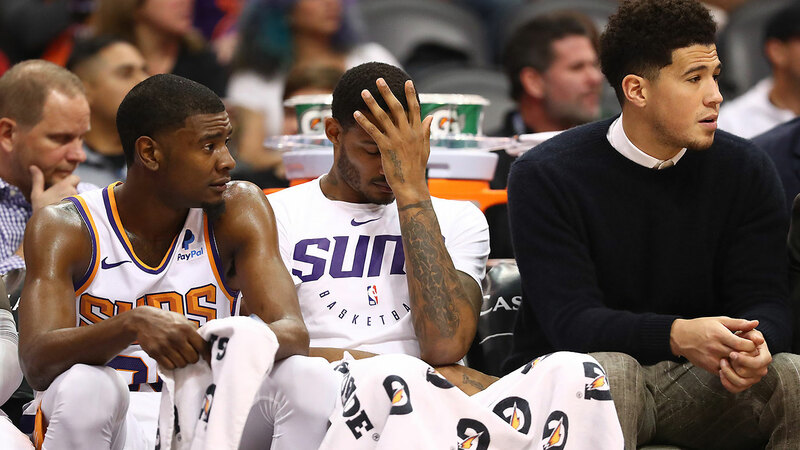 “Our front office also didn't have any conversations with Phoenix regarding the reported 3-team trade prior to it leaking during our game tonight,” Wallace said. “We were floored to learn of the reports involving Dillon Brooks in the reported trade. Wojnarowski has since reported that Phoenix and Washington are still on contact over a deal centered around Ariza, while Memphis has completely pulled out. After the hilarious mixup, Dillon Brooks took to his own Twitter account to show his reaction to the news, while fans were left stunned that such a mistake could take place given the technology available to teams.